It is a busy week at the Museum, with two exhibitions opening and one closing, plus free admission on Thursday, October 7. The time to visit is now! On Thursday, September 30, experience the opening of the newest on site installation by featured artist Chakaia Booker. Manhattan-based Booker uses cut tires to create relief, free standing, pedestal, and outdoor sculpture. 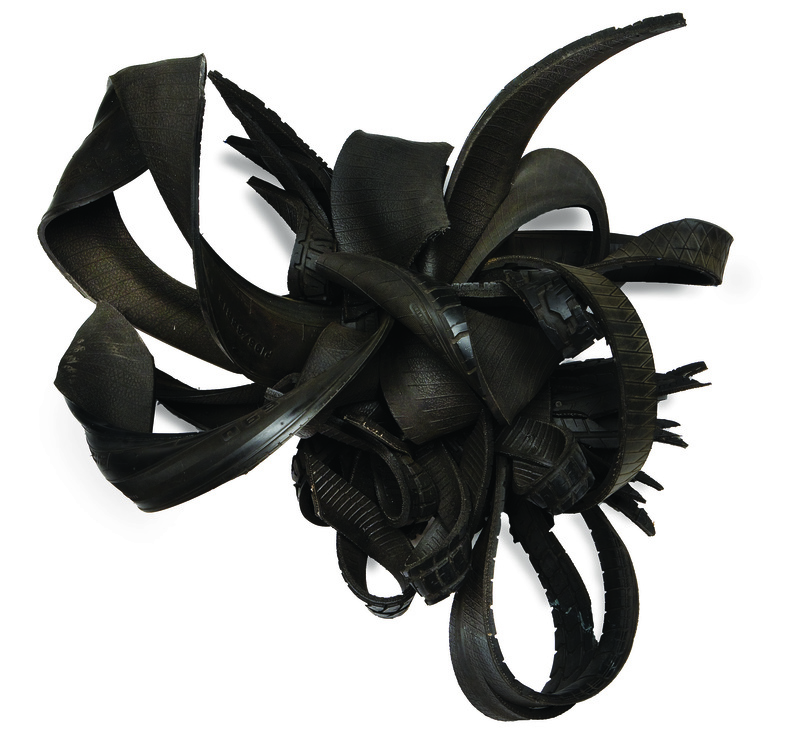 Over a dozen works will be on display in Baumgartner Galleria through February, 2011, for On Site: Chakaia Booker. Also opening this week is the Museum’s newest feature exhibition, European Design Since 1985: Shaping the New Century. This colorful exhibition explores the work of over 100 European designers with over 200 objects, including chairs, tables, lamps, vases, watering cans, utensils, metalworks, and even a vacuum cleaner. European Design Since 1985 opens on Saturday, October 9, but Members get a sneak peek on Thursday, October 7 and Friday, October 8. Don’t forget that Thursday, October 7 is Target Free First Thursday and admission to the Museum is free for everyone! Finally, the Museum closes one of its most popular exhibitions on Sunday, October 3: Warrington Colescott: Cabaret, Comedy & Satire. This bawdy and thought-provoking exhibition has received rave reviews and drawn in thousands of visitors. Don’t miss your last chance to see this amazing career retrospective of one of Wisconsin’s finest artists. To learn more or plan your visit, check out www.mam.org. This entry was posted in Art, Events, Exhibitions and tagged European Design Since 1985, Events, Exhibitions. Bookmark the permalink.